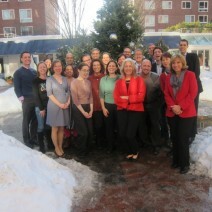 We at the Program on Negotiation wish all of our friends a very happy holiday season. We are honored to work with you in helping improve the theory and practice of negotiation, conflict management, and problem-solving, at home and around the world. Best wishes for a joyful 2014!